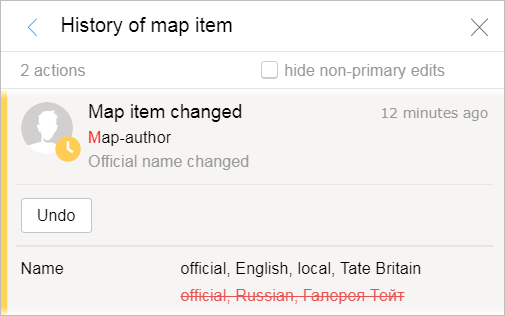 Every item on the map has a drawing and editing history. 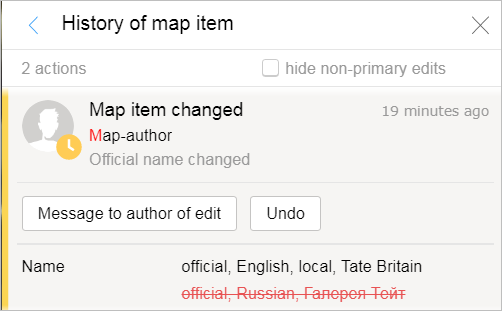 From an item's history, you can send a message to the author of any edit. Your message should relate to that item and meet the general requirements for item comments in YME (see section3.1. General rules). Unlike comments, which are visible to all users, your message will only be available to the recipient. Click Message to author of edit. 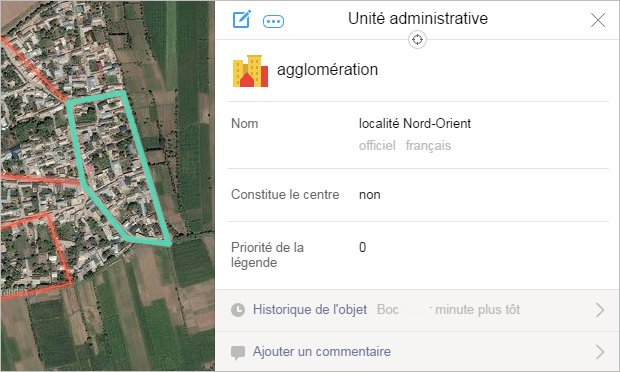 A text entry field will appear in the line you selected. You message will be sent to the recipient. Only the recipient can (unlike comments, which are visible to all users). You can view messages you sent in your activity history (a list of notifications about comments you left).